You never know how important that freezer is until it suddenly stops working. Then the heat is on—literally—to find the fastest, most affordable repair. Well, look no further. 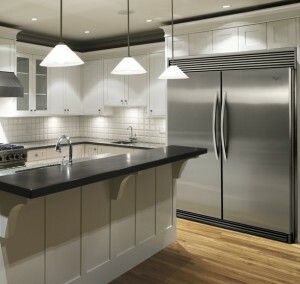 Los Angeles Appliance Repair is all that and more. As LA’s best source for freezer repair, we here to help you keep your cool! Common freezer issues include damage to the compressor, problems with the condenser, and defective evaporators. Carrying out a freezer repair is a complex task, however, one that should only be performed by factory certified technicians. Fortunately, with over 20 years in the business of servicing, maintaining and repairing appliances, Los Angeles Appliance Repair is always up to the challenge. Our professionally trained technicians are current on the latest technology and are experience in both domestic and industrial-sized freezer repair. The key to our efficient service is the combination of friendly customer care, organized order processing, and an extensive inventory of quality replacement parts. For quality freezer repair, call Los Angeles Appliance Repair toll free at (800) 937-3035. Be sure to ask about our same-day service. Our appliance repair office hours are Monday-Saturday from 7am to 9pm and Sunday from 9am to 5pm.